China’s national emission trading scheme and the European perspective – what to expect from 2017? 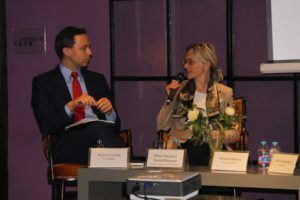 In collaboration with ICF International and Beijing Energy Network, CCF held an event as part of the European Union (EU) – China ETS Project, which was initiated in 2014 to support the design and implementation of greenhouse gas emissions trading in China. ICF International is leading the International Technical Assistance Team that is assisting China. 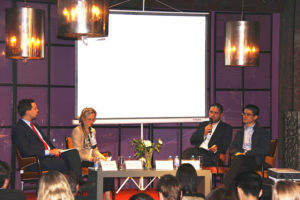 The panel consisted of distinguished experts on emissions trading schemes from Europe and China: Ms Mary Veronica Tovsak Pleterski, Director for European and International Carbon Markets, DG Clima, European Commission; Mr Renato Roldao, Consulting Director – Climate Change, ICF International; and Mr Qian Guoqiang, Strategy Director, Sinocarbon. The audience gained insights on the latest progress of EU-China collaboration on ETS, including design and capacity building work. 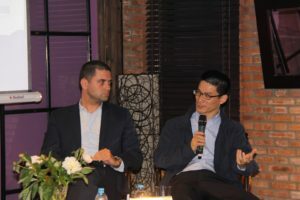 The panel discussion covered the key issues around ETS design both in the EU and China, including allocation mechanisms, benchmark-setting, price management and MRV. For record of discussion and Executive Summary, download PDF: China’s National ETS.